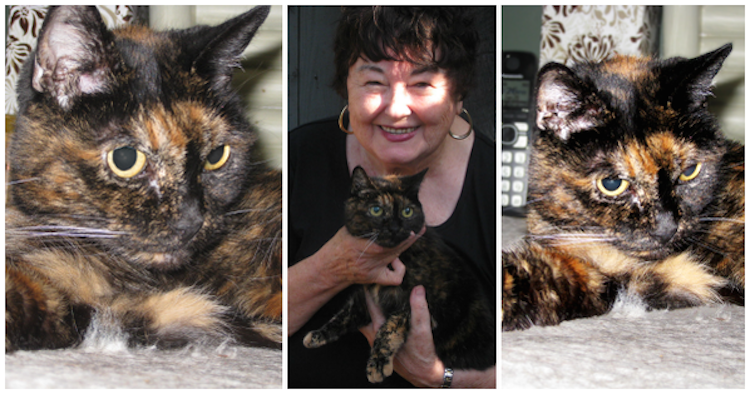 A 26-year-old tortoiseshell cat in San Diego, California named Tiffany Two has been declared the world’s oldest cat by Guinness World Records. Born on March 13, 1988 in San Diego, California, Tiffany Two was bought by her owner Sharon Voorhees from a local pet shop when the record-breaking kitty was six weeks old. Sharon paid $10 for her and commonly refers to Tiffany Two as the “best money ever spent”. …To put her age into context, when Tiffany Two celebrates her 27th birthday next month she will have lived the equivalent of 125 human years.